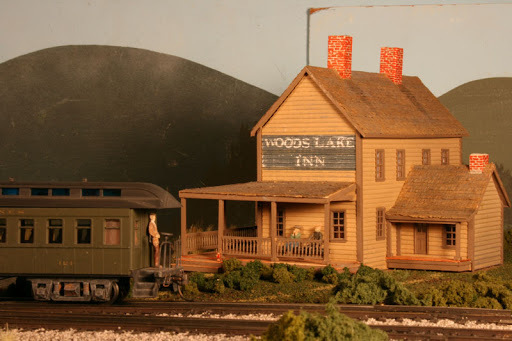 NYCSHS member Charlie Crawford’s layout models the NYC Adirondack Division of the NYCS. He has vacationed in the Adirondack Mountains for many years starting in 1976 and he loves being there. Since he can’t be there all of the time, he created a model railroad to take him there when he is away. Join us as he tells us about his railroad and the interesting things he has included on his layout. This edition features articles from Alan Bell on “A Busy Day at Albany Station”, Charlie Crawford’s “NYC’s Adirondack Division”, another in the series from Ron Parisi on ” Manhattan’s Greatest Train Yard – NYC’s 60th Street Yard”, the continuation of “Modeling the NYC in TT-Scale” by Paul Pickard, and the final in series on “Kitbashing Steam Locomotives” by Tom Bailey. We have included a great set of drawings and modeling instructions on the NYC&HRRR standard stockyards. This in another in the series of professional drawings from the “NYC Engineering Department” done by Mauel Duran-Duran developed from one of our NYCSHS Drawing DVD’s. Of course, like his past drawings, Mauel had added considerable detail and precision to the final product. He also gives us a little history about a fairly unknown aspect of NYCS freight operations, livestock transport. In this issue we offer a new feature for the NYCentral Modeler. For the first time we have two excellent layout drawings of Alan Bell’s layout done by recent NYCSHS member and layout drawing artist, Frank Knight. Frank’s layout drawings will be a regular offering in future editions. This is the largest NYCentral Modeler to date with almost 100 pages packed with NYCS modeling information and photos. This is our eighth edition and includes several pages of new products, new book and magazine highlights, and letters to the editor. Our president, Rich Stoving, in his regular column, asks us, “Who Are You”. In it, he talks about how he likes to “Model Railroad” and reminds us of the many ways to enjoy our great hobby of modeling the NYCS. To enjoy this edition and all of the other seven follow the instructions below and let us know what you think. This entry was posted in NYCentral Modeler, NYCSHS News. Bookmark the permalink.